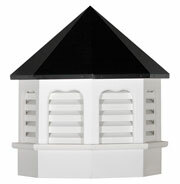 << Back Octagonal vinyl louvered gazebo Cupola.BLACK ALUM ROOF. Very high quality vinyl gazebo cupola.Standard black aluminum roof. 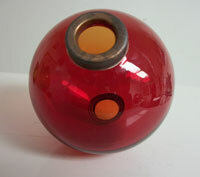 THese are FOR A GAZEBOS THAT ARE BETWEEN 6' AND 12' IN DIAMETER. Octagonal vinyl louvered gazebo Cupola.BLACK ALUM ROOF.